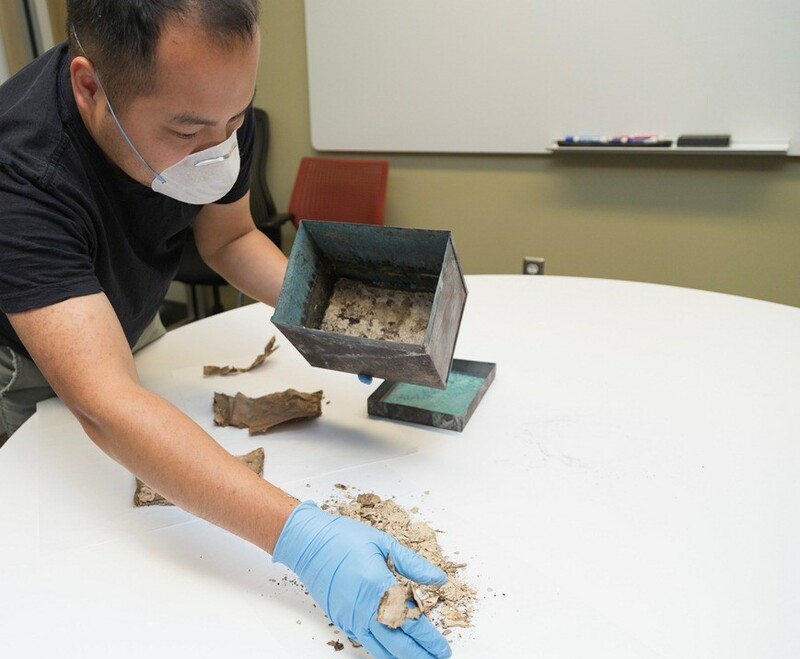 The president of the Alumni Association reports that a ‘treasure box of papers and relics’ was sealed into the cornerstone and foundation of Howard Hall in 1927. And in fact during the 2017 demolition of Howard, a time capsule was recovered. Unfortunately, the ‘capsule’ was neither a capsule nor airtight, nor much of a success as a preservation-device and carrier of news across the divide of years. The box measures 6.5″ H x 7.5″ W x 5.5″ D. Adorned with a patina of mold when recovered. The content of the box is two identifiable items, and also a pile of mush-like paper pulp. The two intact survivors are (1) a copy of the Thursday, November 17, 1927 The Catholic Sentinel. This seems appropriate, as Archbishop Howard presided at the cornerstone ceremony for his namesake building on Sunday the 20th at the University’s Homecoming Football Game. Second (2), the roster of enrolled students typed on Registrar stationery. 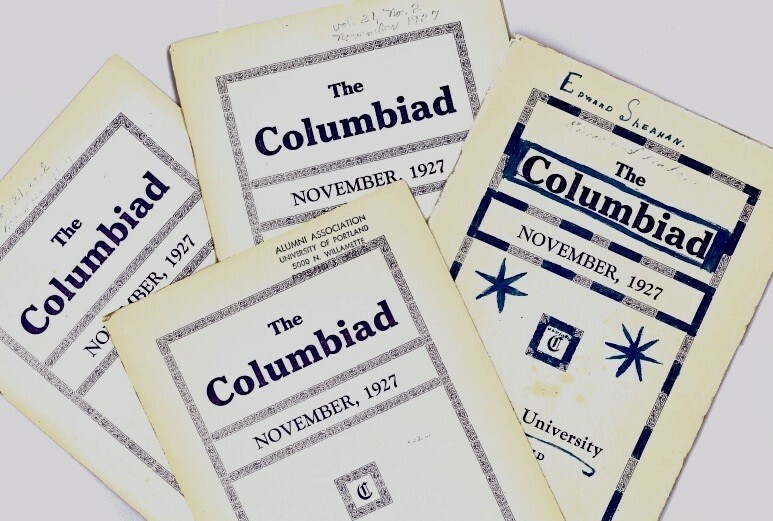 Item three is a matter of conjecture, but the fragments (3) that remain do suggest a candidate: the University monthly magazine of student and alumni news, The Columbiad. 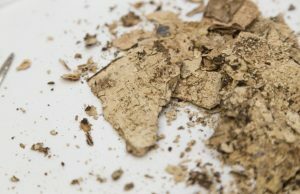 There is an additional puzzle beyond the identity of the pulped pages. The box is very much bigger than the physical exhibits; that is, the papers don’t fill the available space, leaving room to expand as if anticipating a larger history to come. 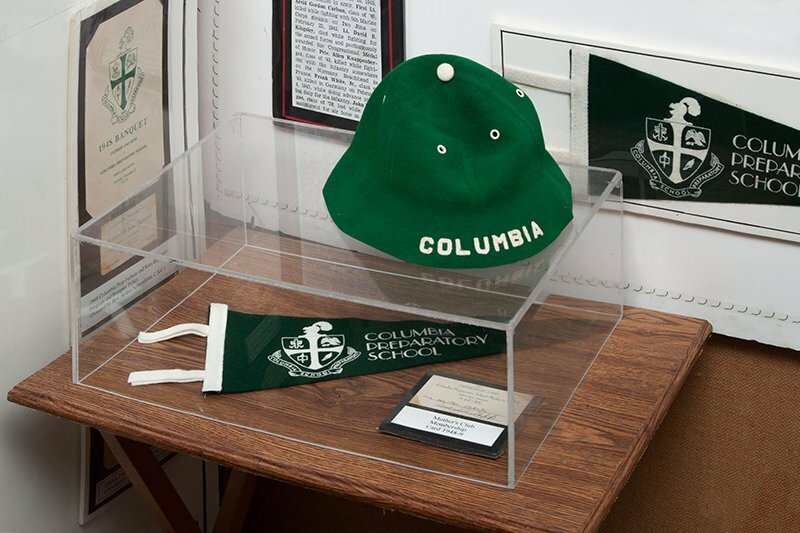 The three time capsule exhibits, and Howard Hall itself, are messages of faith, promise, and commitment. 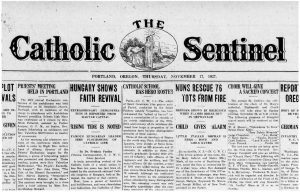 The Sentinel newspaper represents the University’s catholic mission and identity, the Registrar’s list specifies the school’s current vitality, and the Homecoming Day dedication ceremony brings together the continuing community of students and alumni. 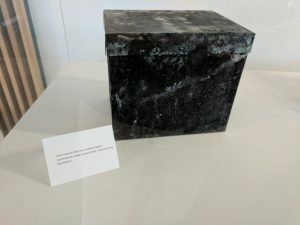 The exhibits don’t quite fill the interior of the box; and that was the point of constructing Howard Hall in the first place. 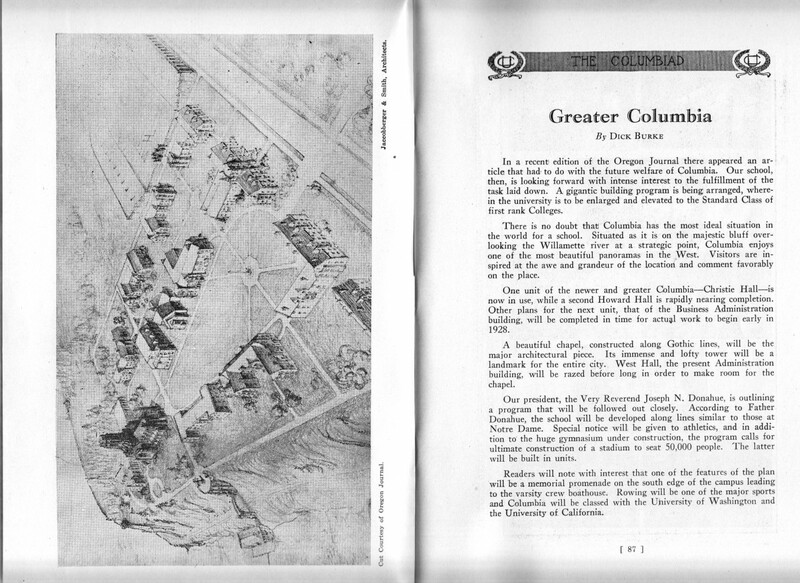 The University built Howard expressing a determination to grow. The promise and hopes of those sealing the time-capsule in cement in 1927 have come out more than true within these ninety years of life on The Bluff. 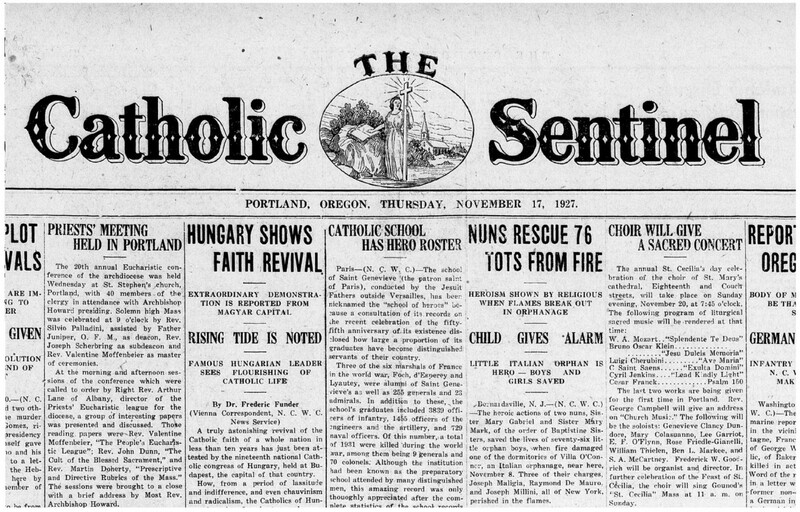 Notes: The Catholic Sentinel is still in publication, and back-issues (even to 1927) can be found in a digital archive. 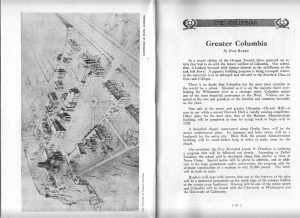 The roster of enrolled students is reprinted in the University Catalogue for the year 1927-28, and also in the big book of the University of Portland Alumni Directory 1901-1912 (with both alphabetical and class year lists). 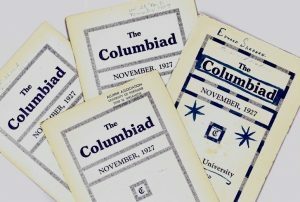 And as to the pulped Columbiad: the Archives has the complete series of the university magazine, and several well-preserved individual copies of the November 1927 issue. 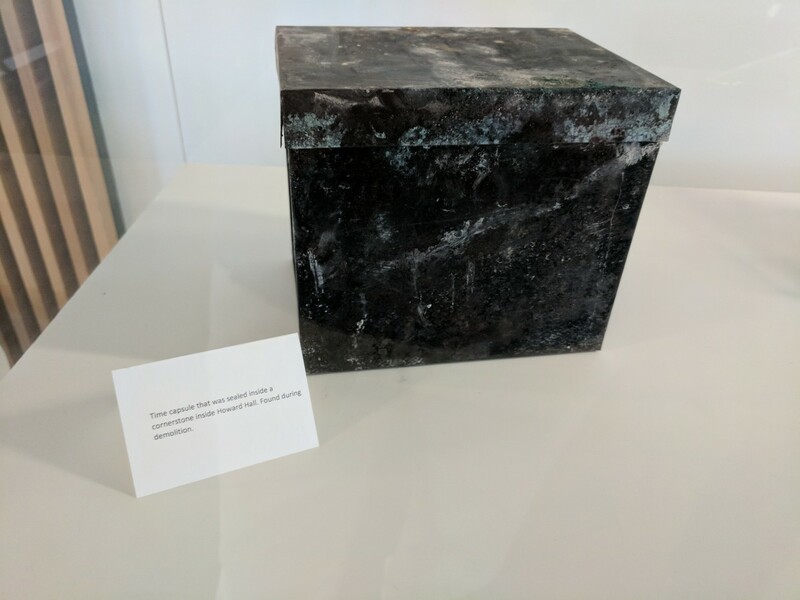 And Also: The metal time capsule box has been displayed in The Clark Library Gallery in conjunction with the Remembering Howard Hall photo exhibit. Thanks for reporting and sharing that information. 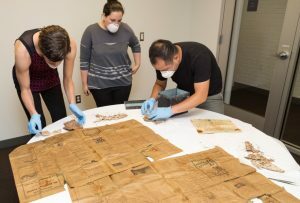 The moral of the story: If you want to preserve something, the archives is the way to go, not a time capsule. Interesting story. Nice that those documents are all available through the archival program at UP. Or a better climate! I have a book based on the contents of a time capsule put in the cornerstone of the 1878 Anaheim school. The only surviving copy of the town’s directory, as well as business cards for my great-great-grandfather and the man who helped raise his son after his death, were preserved quite well inside. Amen to Mary Rephio’s comment.